Screw back or backspin arises on the cue-ball (CB) after it contacts the object (OB) and when it is hit anywhere between the center of the cue ball and the extreme bottom non miscue-able point on it. How much backspin it undergoes, depends on how much the cue ball is hit below center along with how much power is put in the shot. 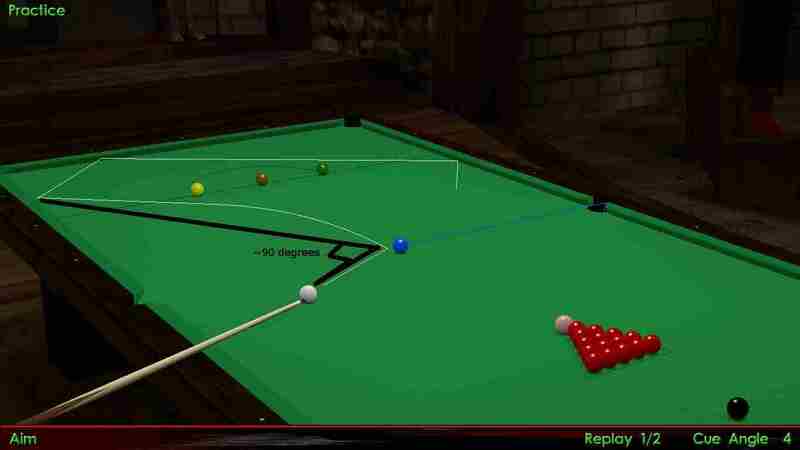 The more powerful the shot, and / or the greater the angle which you have to cut, the more the cue ball will travel along the stun path before it actually starts to screw back. 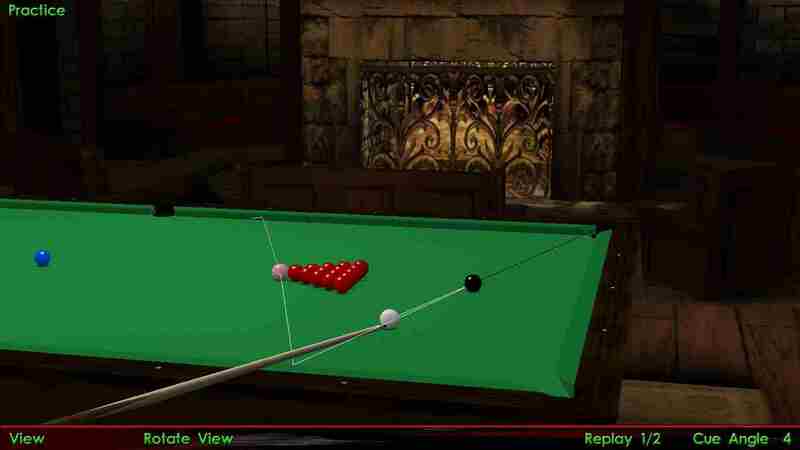 Put only as much power as much is required, concentrate more on the amount of bottom side put on the cue-ball. Only put full power if you know that you need full power for the particular shot. Do not cross the miscue point. Try out different types of backspin by hitting the cue ball at different speeds and at different locations below center. Keep your stick as level as possible, unless the balls are too close to each other, in that case we can go for a shot similar to or perhaps a masse shot. 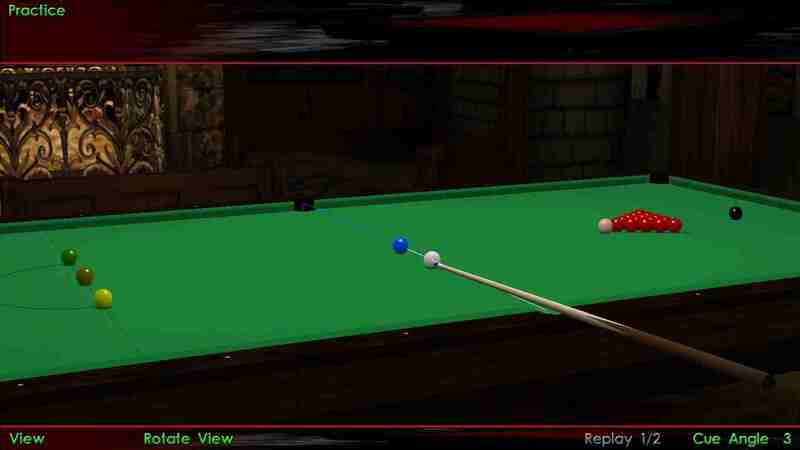 Keep lesser distance between your hand and the cue-ball than the distance for a stun or a follow shot. The CB will not screw back at the angle at which it should seemingly come at any shot except in the case of a straight in shot. It will take a path, known as the stun path, for a while, before it actually starts screwing back. The more angled shot it is, the more it will travel the stun path before it starts to screw back. The more powerful the shot, the more the CB will travel along the stun path before it actually starts screwing back. 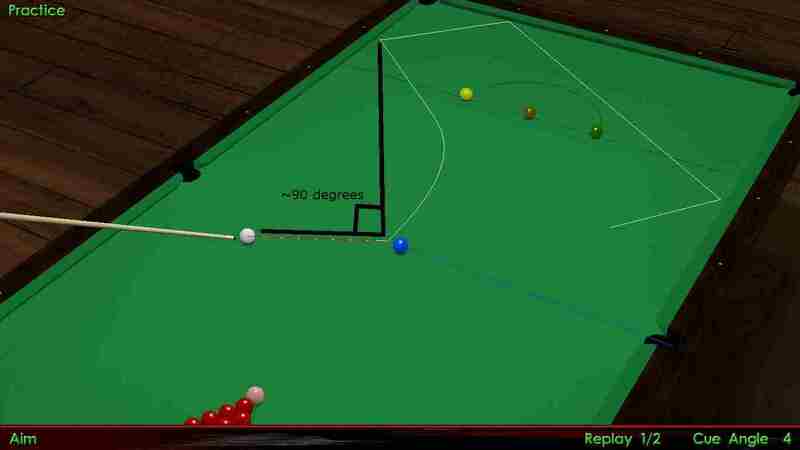 The path of the cue-ball after contact after playing a successful snooker backspin shot can be analyzed as under. 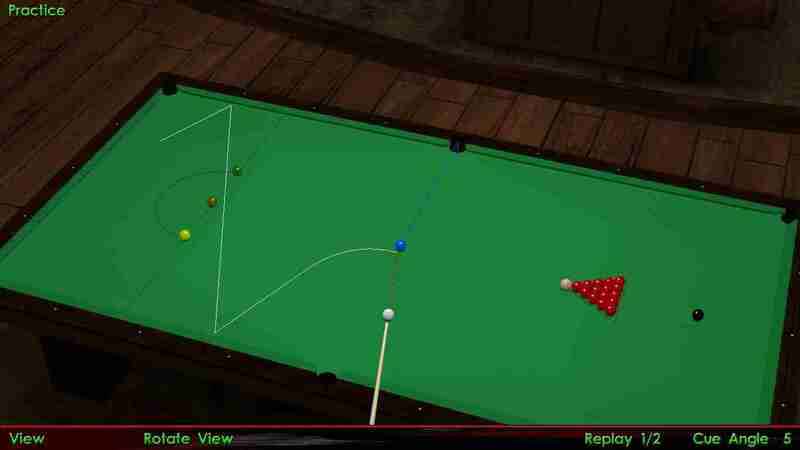 You will find that for any angle except for a straight pot, the cue ball will curve, but only after a while. The distance travelled before it screws back will be directly proportional to the angle at which you have to cut. In this case the CB will come straight towards you. You will see that, it comes exactly straight, unless you hit it on the edges of the pot to create an angle. Now, if you put some side along with the bottom, it will travel different paths, but only after hitting the cushion. I will try to discuss that later on. In this case the CB will travel to the opposite side of the pot at an angle close to 90 degrees to the line joining it and the OB, . 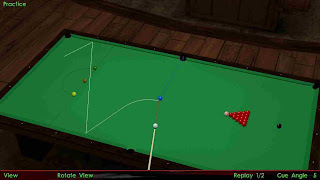 Now here you will see that the cue ball will start curving only after it has travelled some path perpendicular to the line joining the O.B and the pocket. This path is also known as stun path, and is one of the most important things to master in cue ball sports, but more on that later on. So after travelling that little stun path, the CB will start to curve at an angle of 90 degrees to the line joining the initial positions of the CB and OB. The path will be in the area between the line joining the initial positions of the CB and the OB; and the line perpendicular to it, at the opposite side of the pot. Simply put, it will screw back more for thicker hits and at less for thinner hits. Here also, the cue ball travels the stun path, more for thinner hits and higher speeds. In thin cuts, there will be little to no screw back on the CB. It will also take very long to start to screw back. As you go thinner, there will be a point when it will be impossible to screw back. So you see, it is always advisable to avoid thin cuts at any cost, but if you are in that situation, keep a lookout on the white as best as you can. High speed and high to extreme backspin, useful for potting the OB and screwing the CB to a particular faraway point on the table. High speed and very little to medium backspin. Use this on shots where you have to either come behind the stun angle, and then make the CB travel few or more cushions. You can use this shot when you want little screw back, but are afraid of the nap effect of the table, or when the table is bad. Try these out on the table. And always remember that with proper knowledge and practice, you will be able to do all this and more maybe without even looking.